You have a lesion on the skin of your face that requires removal. It will already have been discussed with you that this is the best form of treatment rather than using creams, lotions or freezing the area. The removal involves a local anaesthetic, ie: you are going to be awake but the area will be numb so that you feel no pain. If there is not enough loose skin next to the hole to allow the edges to be stitched directly then a neighbouring area of skin can be partly lifted and moved round to fill in the hole. This “flap” is then stitched into place. Once again a combination of dissolvable and removable stitches are often used. 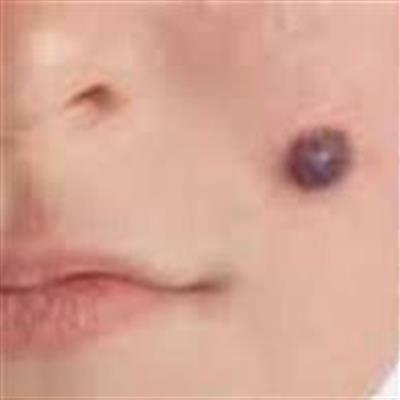 If it is necessary to raise a flap this does leave a larger scar but wherever possible the flap will be designed such that the scar lies in natural skin creases. Which method of skin closure is best for you will be discussed with you before you sign any consent form for your operation. There will be some mild pain and discomfort once the numbness of the local anaesthetic injection has worn off. You may need to take simple painkillers (eg aspirin, Ibuprofen). There is a variable amount of swelling and bruising which tends to be worse for the first few days after surgery but has usually settled after a fortnight.